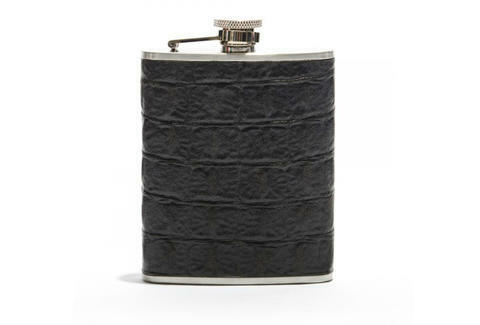 Forty Five Ten's carrying this croc skin-wrapped stainless steel flask designed by a former purveyor of lingerie whose bio says her "richly textured designs transcend trends" -- if your girlfriend can say that after draining this flask, she's a keeper. Or not a keeper. Your call really.